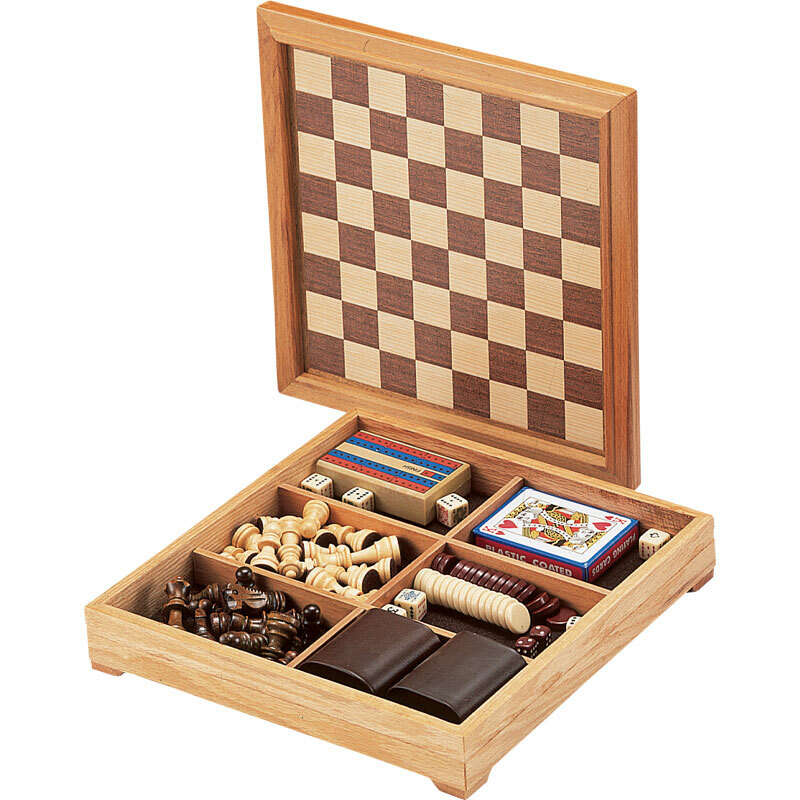 The Combination Game Set is a 30cm wooden box which contains 7 different board/card games. Contains all you need to play chess, draughts, backgammon, dominoes, playing cards, cribbage and poker dice. This game set makes for hours of fun, and is portable so you can take it anywhere.